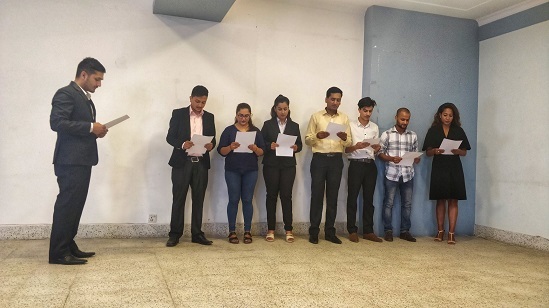 Ashim Acharya, BBA 4th year student, has been elected as president of the School's Students Welfare Committee (SWC) securing 77.7 percent votes cast by 555 students. 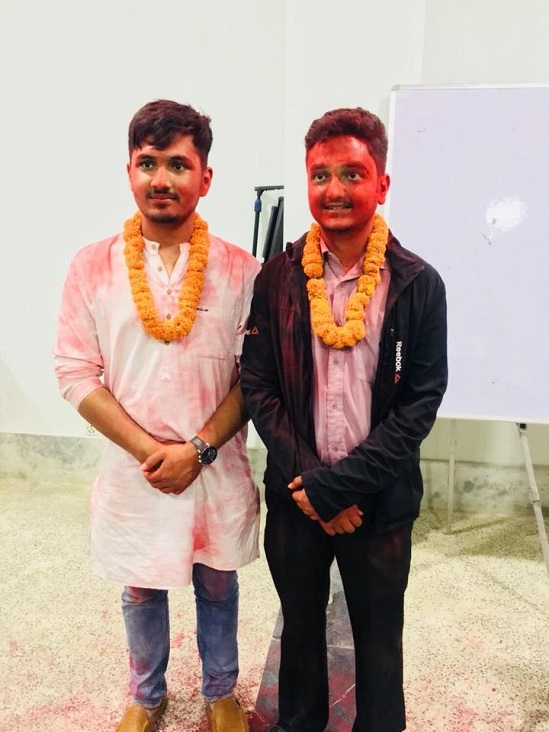 Likewise, Anish Regmi, BBA 4th year student, secured 62.8 percent votes out of 554 cast to be elected as Vice President. The newly elected team of SWC also took oath of office and handing over of SWC emblem to the newly elected president by outgoing president. Congratulations to both President-elect and Vice President-elect!